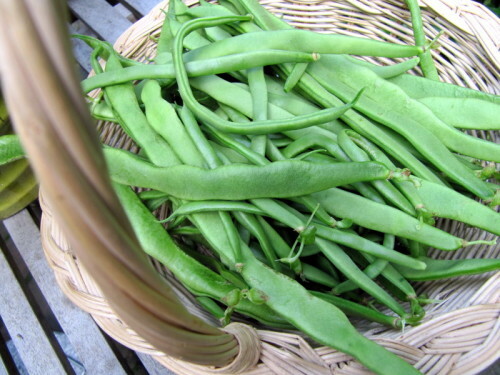 Tubettini with Piattoni beans means a particular type of green beans with a flat shape. 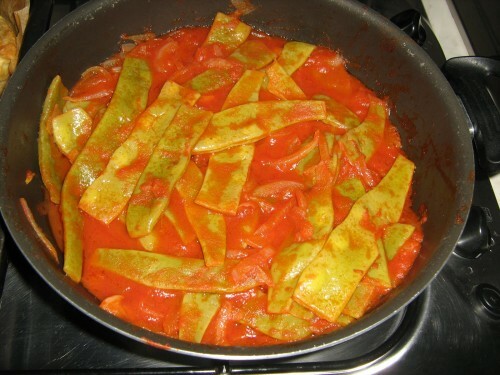 You should prepare it with fresh tomatoes or tomatoes puree and a "soffritto" of onions (white for a sweeter flavour or red to gain more consistency). Below an easy and quick but always delicious recipe to prepare tubettini with this kind of beans as a main dish or a first course with lovely Italian pasta. Wash and clean the beans, cut them in pieces. Preheat the extra virgin olive oil in a large pan, cut the onion in slices and add them to the pan. Let the onion sauté for a few minutes. Add all the beans and the tomatoes puree or the tomato from the can or 3 fresh tomatoes. Sprinkle with salt and cook the sauce for few minutes. Add 2-3 glasses of water and let the beans cook for about 20 -30 minutes. Serve very hot with peperoncino (dry hot chilly pepper). This entry was posted on Thursday, July 25th, 2013 at 2:01 pm	and is filed under Italian Recipes and Food. You can follow any responses to this entry through the RSS 2.0 feed. You can leave a response, or trackback from your own site.